UNISON called for a strategy to combat mental health issues in the workplace arising as a result of increasing workloads and other workplace pressures faced as a consequence of UK Government austerity cuts and the brutal financial cuts to local government.This strategy will call for local government employers to ensure effective workload management schemes, suitable stress risk assessments, mental health action plans and policies are in place in consultation with branches. 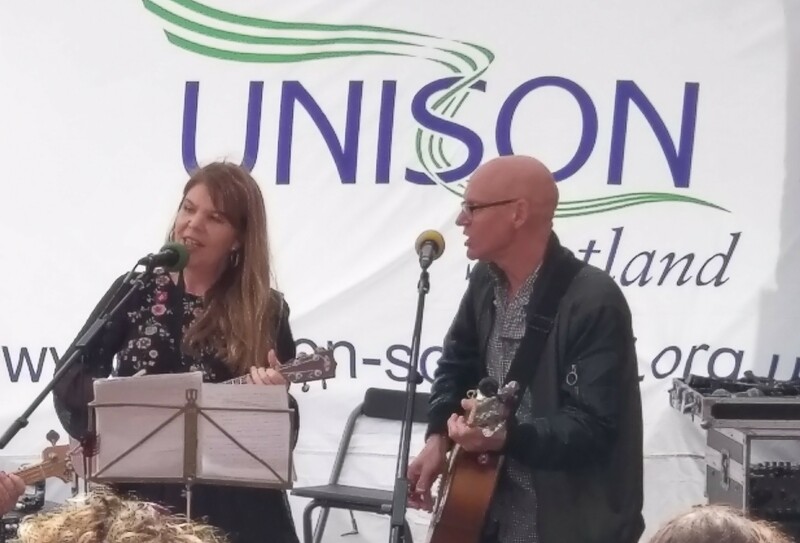 At the same time, UNISON will continue to fight austerity, and to campaign, pressurise and lobby both Scottish and Westminster governments for more funding in local government, to help support the mental health and wellbeing of the workforce. Scott Donohoe, Scottish Regional Representative, moving Composite B, Mental Health and Workloads, slammed the intolerable increase in workloads, and pointed out that staffing levels are cut to the bone and morale is rock bottom. He underlined some of the cuts in local government in Scotland, announcements of £133 million over two years with another round of job cuts for Glasgow , and £160 million over four years for Edinburgh and moreover East Dunbartonshire’s 90% plus vote for strike action in response to another brutal attack on terms and conditions and trade union facility time. 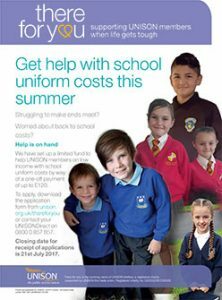 UNISON members in working in schools in South Lanarkshire are writing to John Swinney MSP, Deputy First Minister and the Cabinet Secretary for Education and Skills, to highlight the vital role they play in delivering high quality education and to press him for fair pay for all those working in Education. Last year the Scottish Government, as part of the tri-partite negotiations for teachers, agreed a bigger pay increase for teachers than that given to other local authority workers. UNISON understand this could happen again this year and are sending the message to John Swinney that he cannot deliver on education reform unless he values the contributions of all staff equally. Whilst the campaign is focused on education at this stage, it is part of UNISON’s wider long-term strategy to achieve fairness for all local government workers in this year’s pay negotiations. The Joint Trades Unions, representing the local government workforce on the Scottish Joint Council, submitted their pay claim in January. 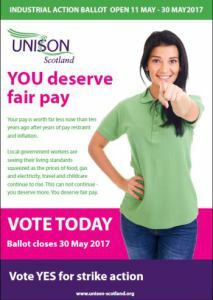 CoSLA, the employers body, put forward a best and final pay offer on 26th March 2018 – the same pay offer was made to all local government bargaining groups. At the same time as putting forward this offer CoSLA also wrote to Derek Mackay, Cabinet Secretary for Finance and the Constitution, pressing the principle of parity in the treatment of all four local government bargaining groups. They were clear in stating that if he was minded to award additional monies to any one group that they would hope he would provide additional funds so they could make similar awards for the other bargaining groups. The Joint Trades Unions noted this pay offer and also wrote to Derek Mackay, pressing him for additional funding for local government, parity of treatment across the bargaining groups and a meeting to discuss their concerns. 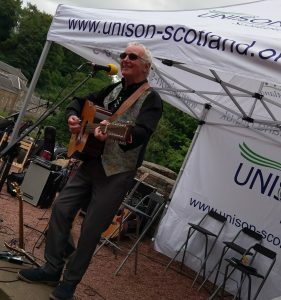 Whilst these discussions continue UNISON believe it is important that John Swinney hears the views of their members working in education and will arrange for the postcards to be delivered to him at the Scottish Parliament before the summer recess. 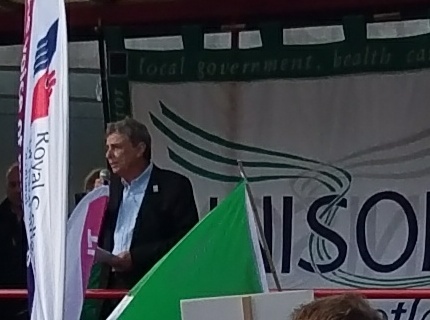 Thousands of public sector workers marched through Edinburgh on Saturday 7 October calling for both the UK and Scottish Governments to scrap the public sector pay cap and pay a decent wage now. 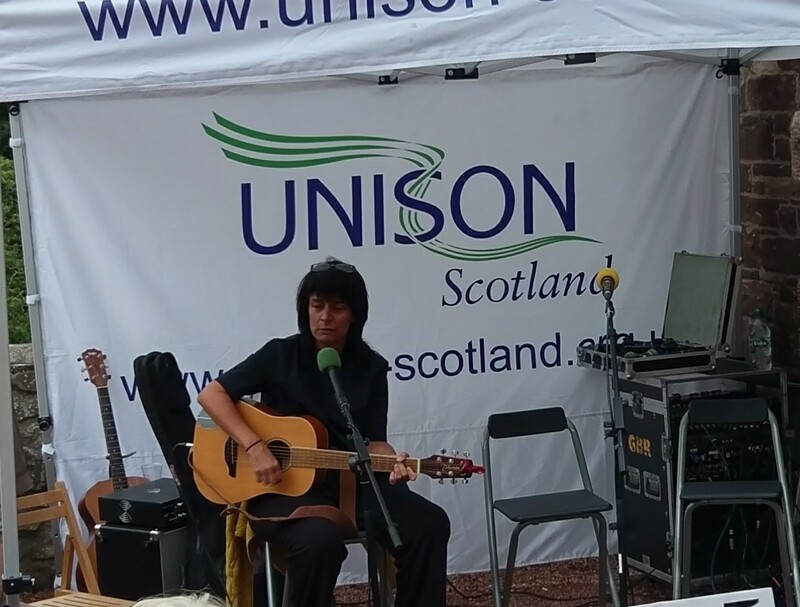 Gordon Mackay, UNISON’s Senior Vice President asked why would a nurse be going to a foodbank- it’s quite simply because she’s not paid enough. Gordon went on to highlight the real terms cut in wages with many workers having £3,000 less spending power following ten years of frozen wages or capped increases. That’s a pay cut. Thousands of folk from across Scotland will be marching in Edinburgh on Saturday 7 October in support of UNISON’s campaign to scrap the pay cap and pay up now. We are calling on both the UK and the Scottish government to end the enforced freezes and pay caps that have been in place for the last decade. In this time the value of the wages of council workers has fallen over 15% behind inflation. This is in effect a cut in the value of our pay by 15%. We will march from the Castle, down the Royal Mile to Holyrood for the rally with UNISON General Secretary Dave Prentis. Watch out for free food, entertainment and activities too! Join us to get our voices heard and have a great day out too! 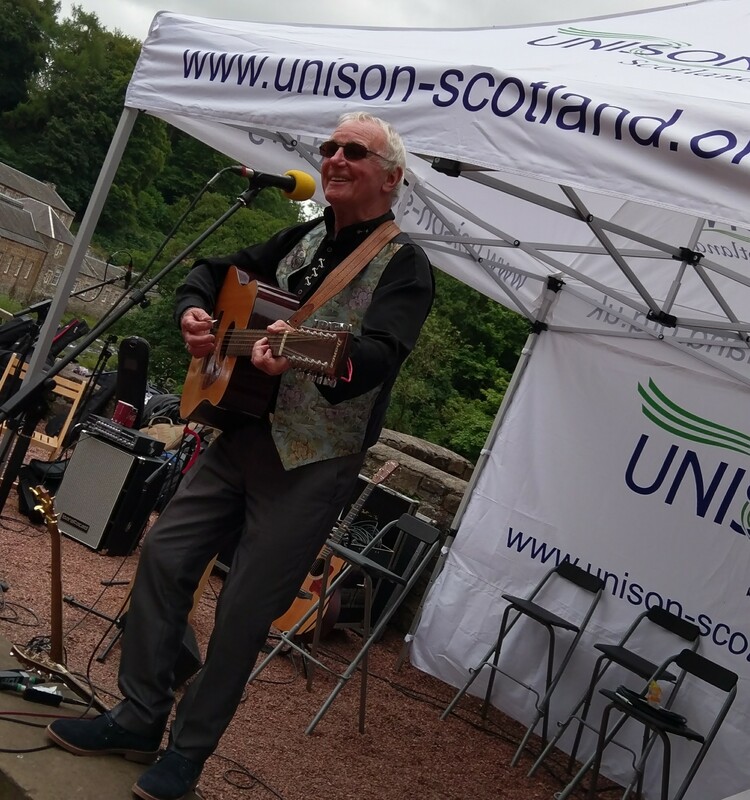 Another fantastic family fun day at New Lanark was held last Sunday 27 August. It was jam packed with fun activities for the kids. 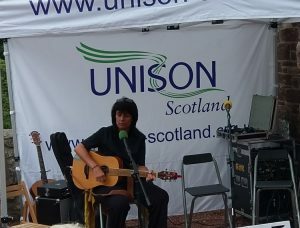 There was a great variety of music from the Easkilbusbies, Mhairi, the Carmunnock Covers and Palmeros. At top of the bill we had the very talented Alastair McDonald, and Carol Laula accompanying her suceessful students from her song writing session Kay Mullen and Pam Fetters. 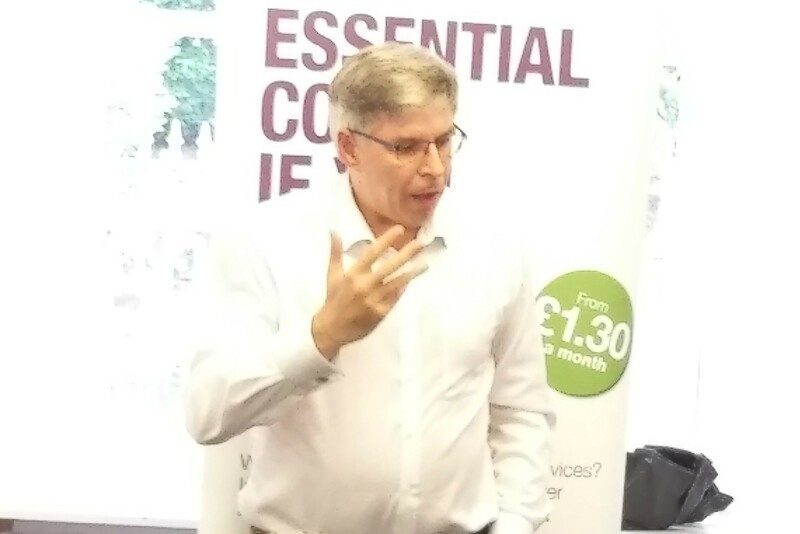 Scrap the Cap was the serious message from Gordon Mackay, UNISON’s senior vice president, highlighting the union’s promise to smash the public sector pay cap in the coming year… we are worth it and they can afford it. Don’t miss a fantastic free family fun day at New Lanark World Heritage site on Sunday 27 August. All members, their families and friends welcome. 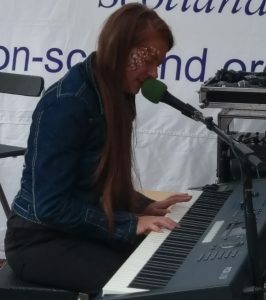 There’s music from Scottish folk singer Alastair McDonald, ukulele and guitar duo Fiona and John, the Carmunnock Covers, the Easkilbusbies, and some light original jazz from Mhairi. Plenty to do for the kids too with a bouncy castle, smoothie cycle, balloon modelling, face painting and story telling. Free buses from EK, Hamilton and Glasgow Contact the South Lanarkshire UNISON Branch Office to book your places. Your net annual income is £18,000 or below [Note: We ignore the following income Child benefit, any childcare element included as part of your working tax credits, Disability Living Allowance, Personal Independence Payment]. Also, you will need to have paid a minimum 4 weeks membership subscriptions before 22nd May 2017. Please note the closing date is 21st July. Remind your friends to check that they’re registered ‎to vote in this General Election. It’s vital for our public services. 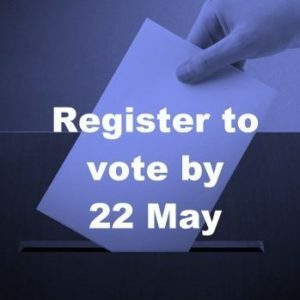 Everyone has the right to be involved in the democratic process, let’s make sure no one is denied a voice in the election come 8 June‎. We have until 22 May to do this. Mental Health is often incorrectly referred to as a “hidden” disability although it’s important to recognise that where a condition affects day to day activities and is predicted to last longer than 12 months this can trigger protections under the legal definitions of the Equality Act 2010 including a right to request reasonable adjustments. This also covers those receiving treatment for a mental health condition under the “deduced affect” definition. We all have Mental Health and in the workplace during times of rapid change can find ourselves somewhere on the pressure- stress- mental health spectrum. The trigger point from movement to a more severe condition such as Depression or Personality Disorders can be caused by a myriad of factors including influences outside of work and is very much an individual experience. One in four of us will experience a mental health issue our lifetime. While not all will develop a severe condition, it’s impossible to predict who in the workplace will be affected and this therefore increases the importance of mental health awareness training and an open and honest dialogue on the subject. The Branch is advocating a cross stakeholder approach to creating a culture that encourages understanding and compassion for those affected by these conditions. As this is very much an individual experience it’s important to put the person at the centre of the discussion on possible workplace adjustments. While GP, Occupational Health and Human Resource advisers all have a role here, ultimately it requires agreement and commitment of all parties to be effective and it’s important at set intervals to review adjustments in place and if they remain fit for purpose.